You are using a browser that is not standards-compliant(possibly Netscape 4). The information on this Web site will be accessible to you, but for a list of Web browsers that comply with the World Wide Web Consortium standards, please visit our Web standards page. 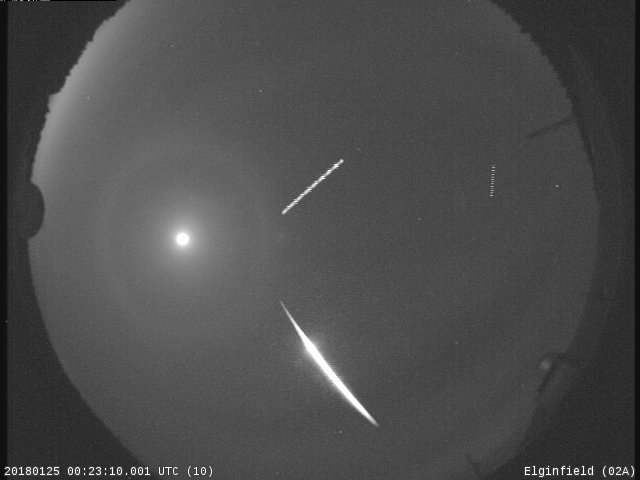 At 7:23 pm on the 24th of January, 2018 a bright fireball was observed by 12 of the all-sky cameras in the Southern Ontario Meteor Network (SOMN). 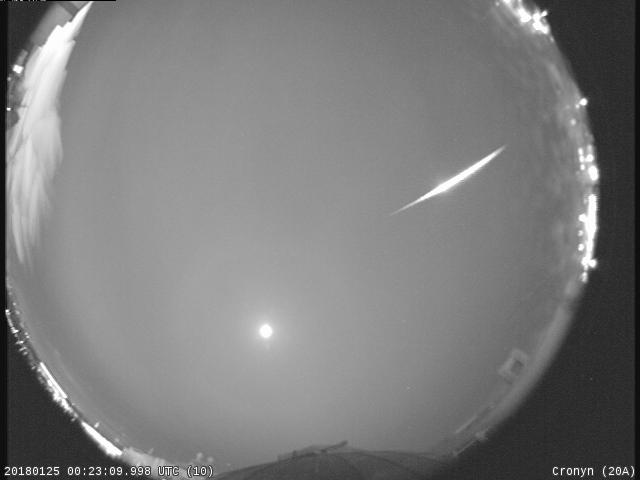 The fireball first became visible at an altitude of 75km and travelled almost due North at a speed of 13.5km/s. Its low entry speed and low terminal height of 24 km, combined with the steep entry angle of about 27 degrees from vertical, suggest that small meteorites have made it to the ground. The initial mass is believed to have been several kg with something on the order of 10's to 100's of grams of material on the ground. 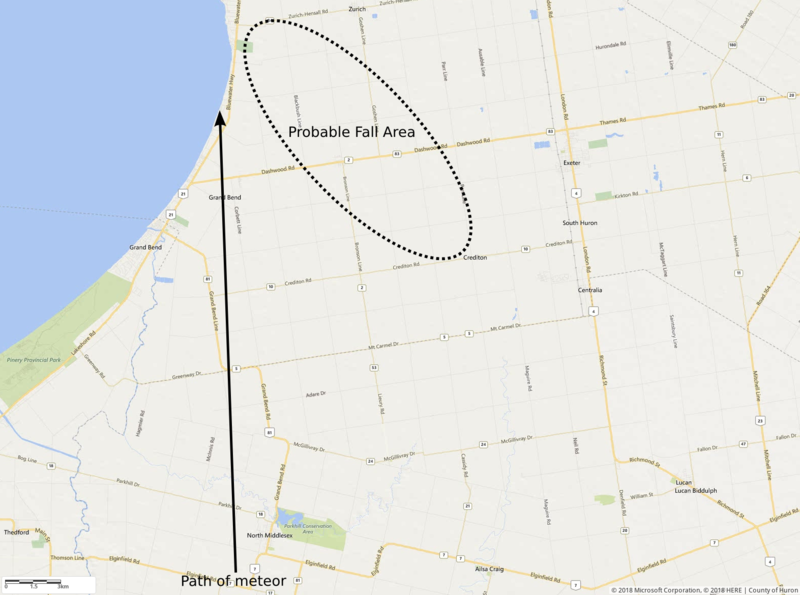 The end location was north of Grand Bend, however, fragments were blown to the East due to upper atmospheric winds; the most-probable location of meteorites on the ground is within an ellipse roughly between the communities of Saint Joseph and Crediton. Researchers at Western are interested in hearing from anyone in the area of the fall who may have witnessed the fireball, heard anything unusual, or found possible meteorites. If you have questions, observations, or have found suspicious rocks from this event, please contact Michael Mazur at mmazur5@uwo.ca.